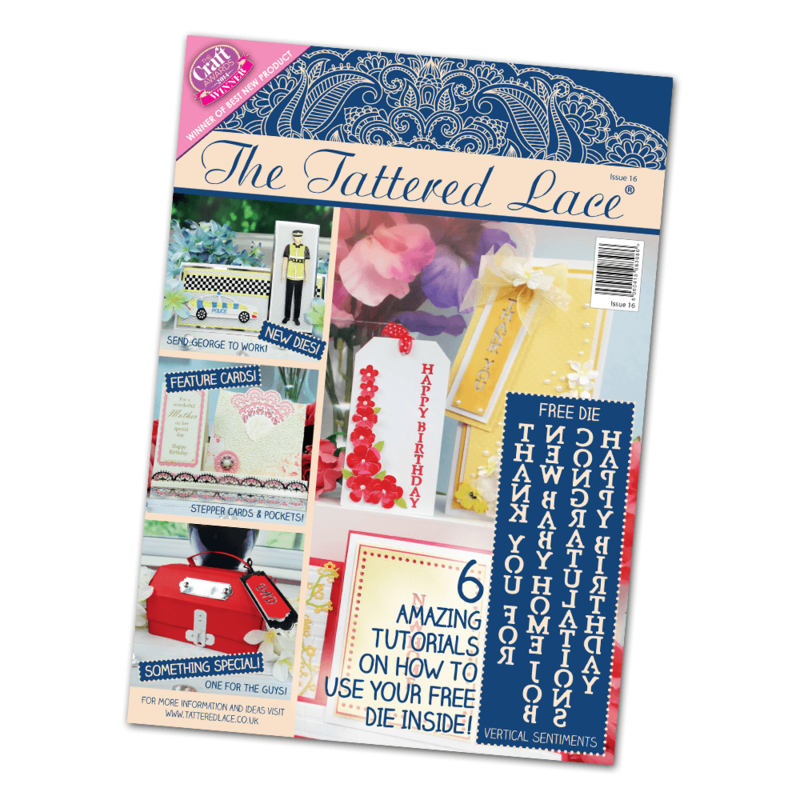 Welcome to the Tattered Lace Magazine, Issue No. 16, and what an issue! You will find 31 gorgeous projects in this magazine, with different styles throughout. This month’s FREE gift is the stunning Vertical Sentiments. These have been designed with versatility in mind to allow the crafter to get as much out of them as possible. They cut the design into cardstock, which looks great when used with foam pads but also leave the cut letters intact, so each cut works for two projects! This issue we have included Shutter Cards, Shutter Stepper Cards, K Cards, Swing Cards and Side Stepper Cards amongst so many others. We have a little bit of Royal Lace, an adorable Morning Chorus and a touch of Ivy and Vine. You can go dotty with the Decorative Edge die set and realise just how incredibly useful “Half Dies” are. Some of you may have met George before, but now he has his own wardrobe and we show him at work, rest and play.